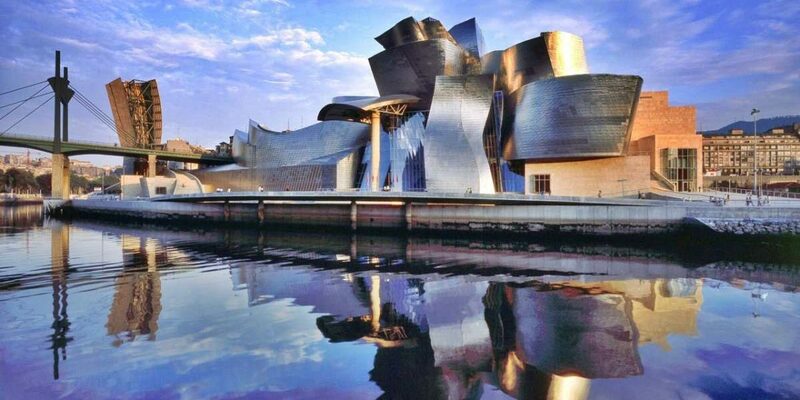 Trip starts from Bilbao, a city that had an amazing makeover and reinvented itself as a smart city from an industrial one investing in culture, tourism and sustainability. A resident architect along with the public society Bilbao Ria 2000, created for the urban regeneration, will demonstrate the transformation of the city and share their master plan. Visit to the peninsula ZaWP – Zorrotzaurre Art Working Progress by Zaha Hadid – urban areas regeneration project where industrial warehouses became eco-residential spaces for artists and exhibitions. 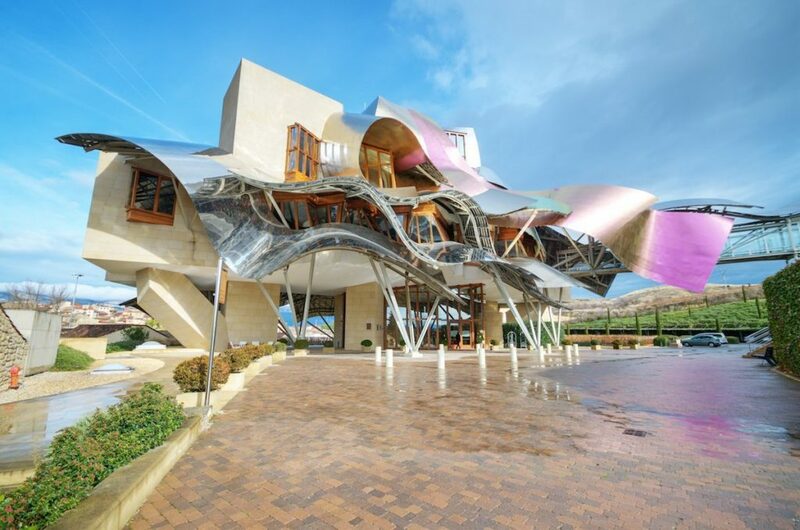 Second destination on our list is Rioja Alavesa, with Ebro river at its south and dominant Cantabria of Sierra mountain on the north. 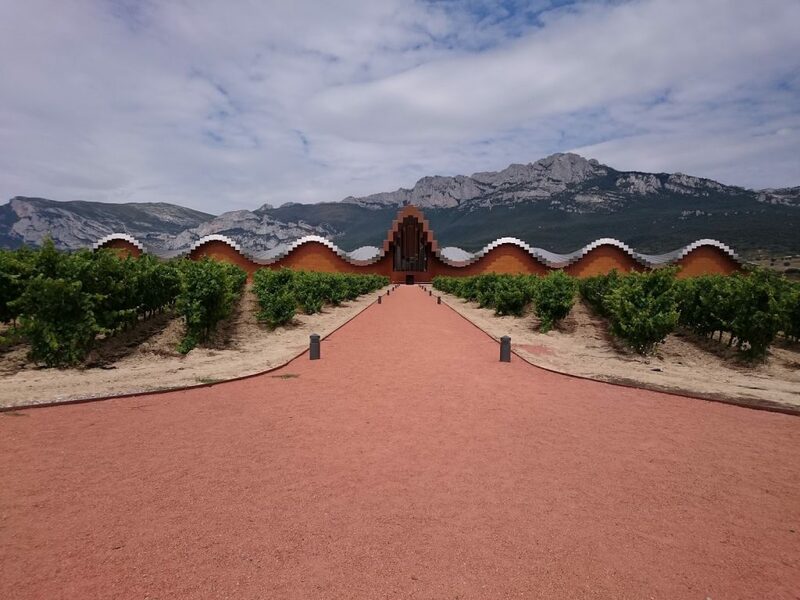 Barely 300 km2, dense with wineries, gastronomic specialties, architecture, art and not to mention its world-renowned wine-growing panorama offers its visitors not only an extraordinary culinary encounter but also delightful visual experience. 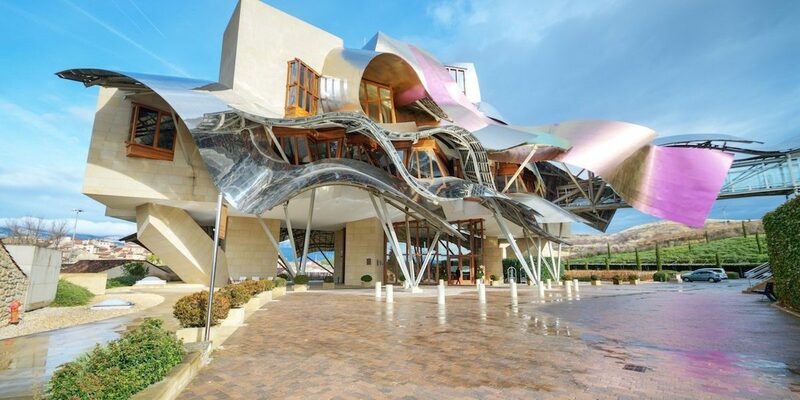 And the City of Wine, Marqués de Riscal, one of the oldest wineries of Rioja founded in 1858, expanded with the luxurious The Hotel Marqués de Riscal, designed by Frank Gehry in 2006. 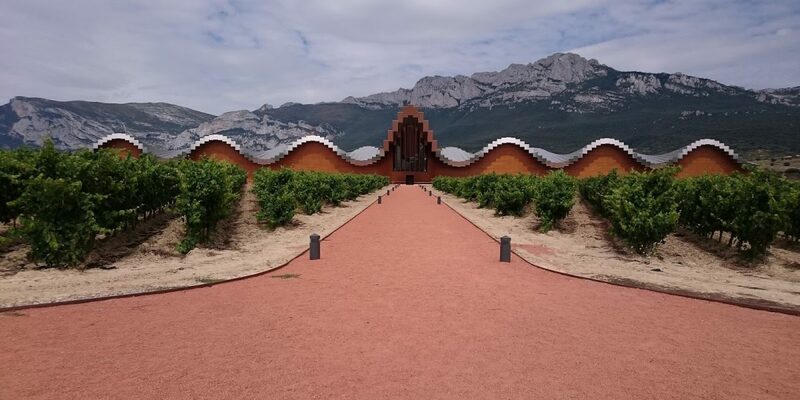 Visit will include also CNVE winery and Vina Real at Elciego- Álava of Philippe Mazieres. Itinerary takes us to Vitoria – Gasteiz, a city with a mediaeval structure but managed with particular attention to environmental innovation to a point that it is considered as one of the most advanced in Europe. Capitol city of Basque Country has been the Green Capitol of Europe in 2012 and it is praised for its public administration and sustainability programs such as urban transport, waste and water management and air quality. And to satisfy our taste buds, a visit to a traditional farmhouse for the production of local PDO Idiazabal, a cylinder shaped cheese made from whole, raw sheep´s milk. Each cheese is marked with a number to guarantee traceability. 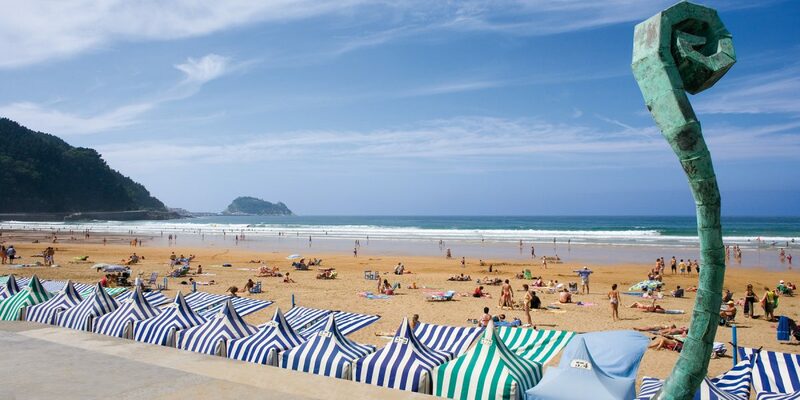 Our journey finishes at San Sebastian, a city with a 7km fine golden sand coastal line on the Cantabrian Sea and surrounded by three mountains: Igueldo, Urgull and Ulia. At its historic center you will see many classic and also modern buildings. The city has an important cultural movida and hosts many events. Basque Culinary Center, designed by VAUMM architects, is a building with a structure that are piled up as untidy dishes following the contour lines. 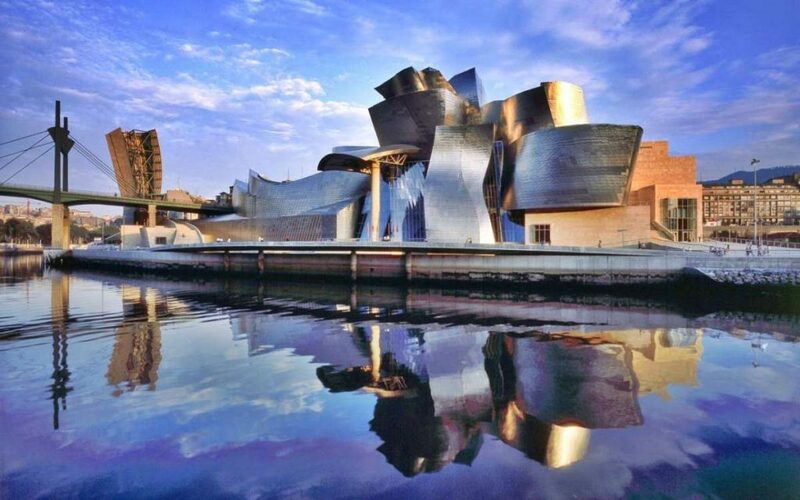 The complex is a joint venture between by Mondragon University, the Basque chefs and the support of the public institutions. 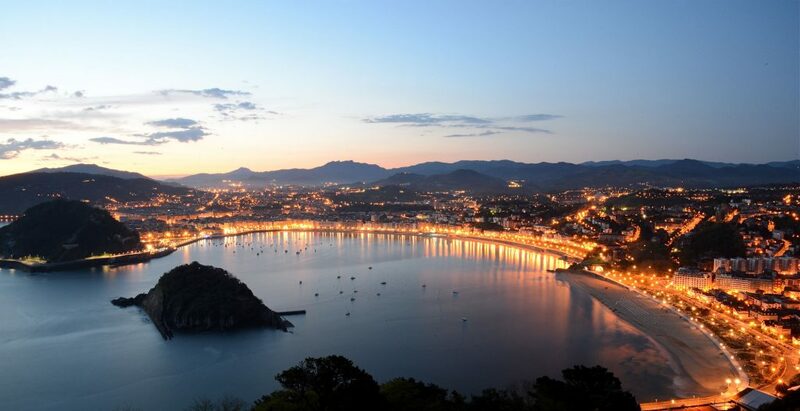 Today it is the home of Gastronomy Sciences (unique in Spain) and a research center. Upon request, Viaggi di Architettura can organize gastronomic laboratories of pintxos; tasting traditional Basque tapas served in mono-portion skews as well as complete workshops on practical aspects and preparations. Definitely a unique culinary feast to taste single delicacies. 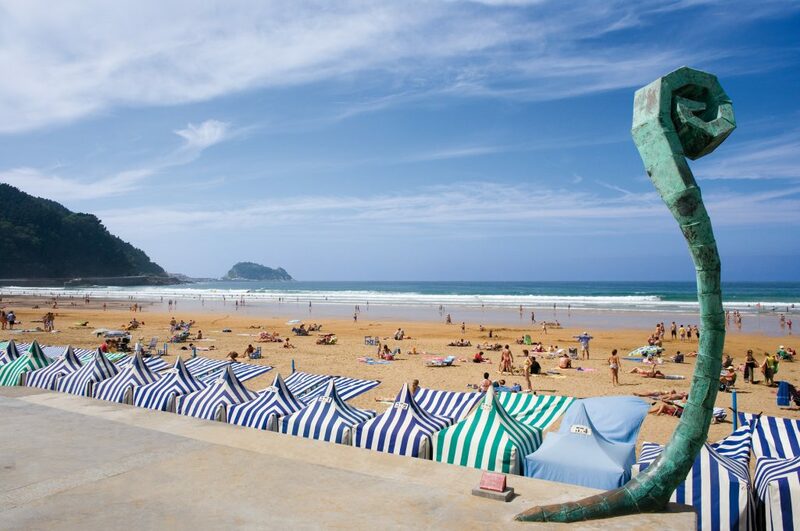 For information, reservations or special requests on routes dedicated to the Basque Country by Viaggi di Architettura.